Other posts on this quilt: Lily & Will Quilt Pt. 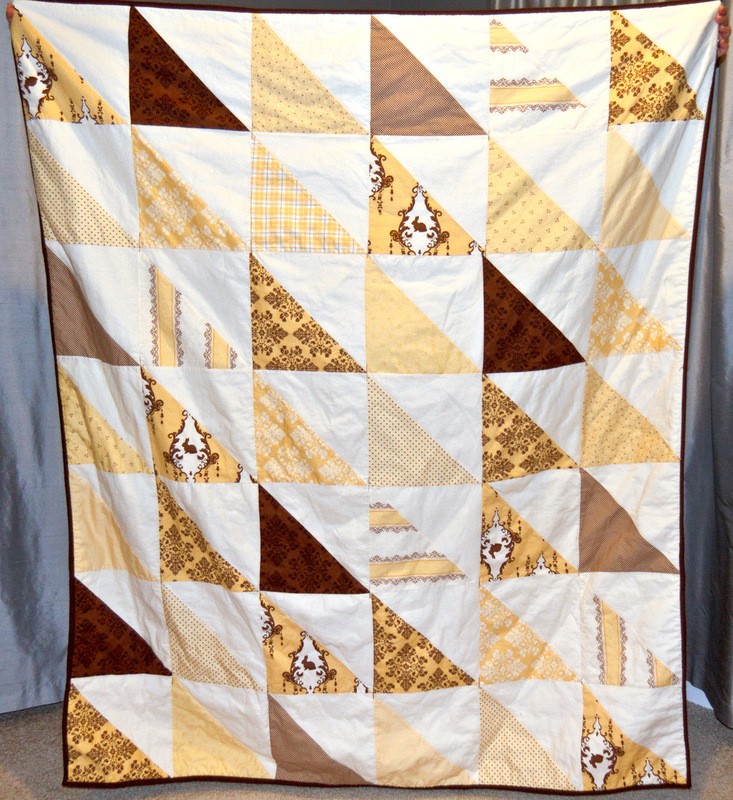 1, Lily & Will Quilt Pt. 2. This quilt is finished and delivered. And I love it. And the teacher at school loved it, so I would say this was a success. 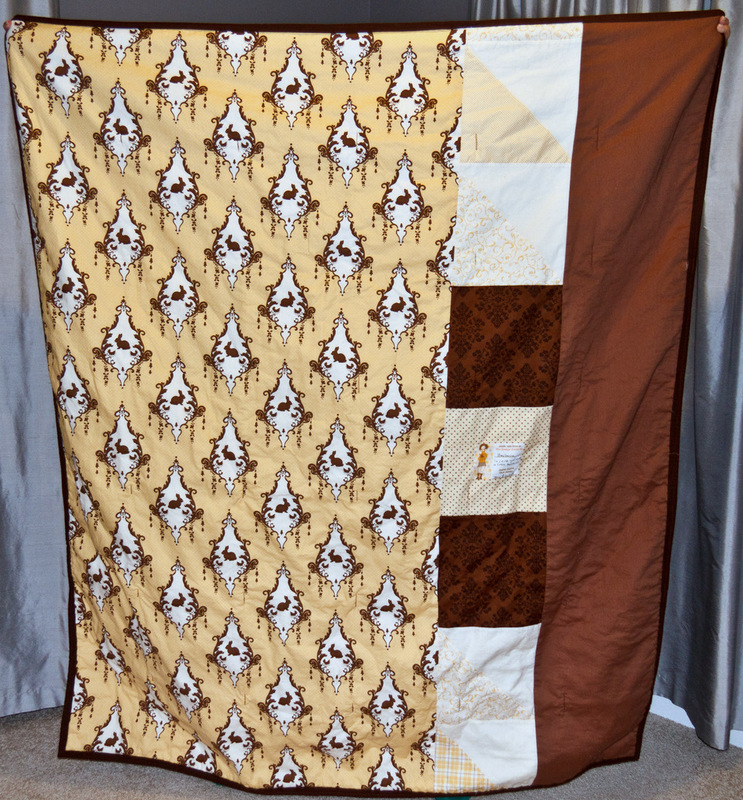 I always feel bad, I never have quilts to show at guild meetings because I give them all away! But that’s part of what I love about making them, the giving away part. I would love to keep this one forever, but it’s out making someone else happy. And that’s even better. I tried piecing the back of my quilt for the first time, and sewing the label into the back rather than using applique. Now what to make next? I have another baby quilt to make by the end of the month, for a baby boy.